A former president, Chief Olusegun Obasanjo, made a surprise appearance at a political rally of the People’s Democratic Party (PDP) in Ogun State on Monday, July 9, 2018. According to a report by The Punch, supporters broke into wild jubilation when Obasanjo briefly appeared at the rally being held for Hon. Oladipupo Adebutu within the premises of the Olusegun Obasanjo Presidential Library. Adebutu, a current representative of Remo federal constituency in the federal House of Representatives, is one of the governorship aspirants on the platform of the PDP in Ogun. Obasanjo arrived at the rally in his Toyota jeep in a convoy of other cars and exchanged pleasantries with Adebutu who is reported to be his in-law. 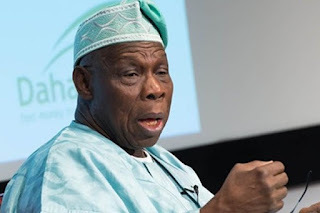 “I am just passing by and decided to say hello and wish you well,” Obasanjo told Adebutu before he left for his residence within the premises of the venue of the rally. Obasanjo was voted president of Nigeria under the umbrella of the PDP in 1999 and served two terms until 2007.